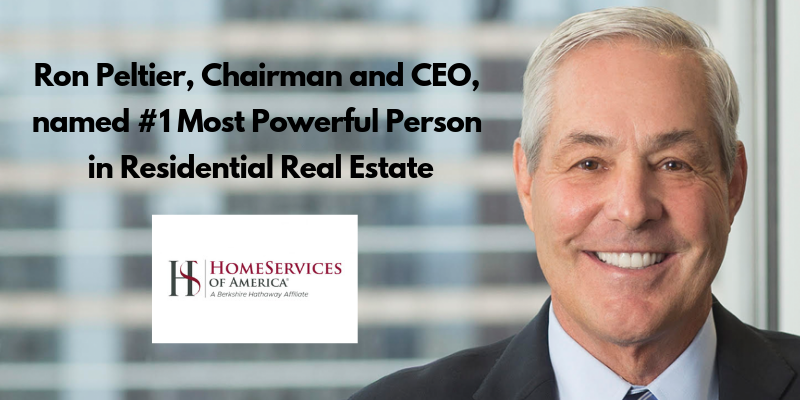 For its recent moves, steady success and immense capital potential, T3 Sixty designates Ron Peltier, CEO of HomeServices of America, the Most Powerful Person in Residential Real Estate. T3 Sixty is a research firm who has ranked the top 200 influencers in residential real estate. You can see the whole list here. Huge congratulations to Ron who is accessible, approachable and involved at the local level, often attending local awards events, How can we not be successful with the Most Powerful Person in Residential Real Estate at the helm! We are in good company and proud of it. Read more about the HomeServices of America companies here. First Weber also offers mortgages through HomeServices Lending.